Another product on this list of weird Google patents is Smart Contact Lens. This doesn’t sound weird but it’s quite creepy to have a electric device attached to your eyes. 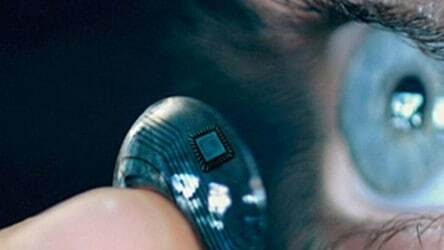 According to the patent, in order to use this contact lens, users have to go through a small surgery to have it attached to the eyes. This lens is capable of fixing all eye sight problem. Moreover, it can measure the amount of sugar in the user’s blood as well as their temperature. Especially, it works by solar energy!